So it’s just that easy? Master the steps and waltz into the nearest casino to win big as a card counter? Well, yes and no. Allow me to illustrate. I was driving into Las Vegas one day to host a Blackjack Bootcamp when I received two messages from two different blackjack players on my phone. I’d been in contact with both as they considered taking on card counting as a career opportunity. But while they both had blackjack in common, they couldn’t have been more dissimilar. They embodied the yes and no of how “easy” it is to beat the game. More on that cautionary tale in a minute. First, let’s talk about the yes. Popular culture, Hollywood in particular, has portrayed card counting as some high-minded wizardry that only MIT whiz kids are capable of mastering. That is simply not true. Our blackjack team included blue-collar electricians, struggling writers, church pastors, and high-school dropouts, many of whom won hundreds of thousands of dollars. Learning to count takes a mere fraction of the time required to become a programmer, doctor, or most any kind of working professional. The quick learning makes it a great added opportunity for the right person at any stage of life, whether as a profession, hobby, or investment. Now, let’s discuss the no. Card counting is far from easy money. For starters, people tend to underestimate how long their training will take. “I’m going to train and test out in two weeks,” one member of the Church Team vowed. He had a strong background in math, was a diligent student of the game, and was working toward his Master’s Degree in marine biology. He was off by a mere six weeks; it took more than two months. It might be easier to become a card counter than a marine biologist, but it’s no walk in the park. If you believe it is, it’s the first sign you probably won’t make it. There’s truly no shame in discovering you don’t have what it takes to live the life of a card counter. Too many people, however, learn this lesson only after they’ve lost a chunk of change. Some people haven’t learned the lesson yet; they’re still out there playing a losing game. I want to prevent that from happening to you. So who is and isn’t the right kind of person? What kind of individual has the chance to really make it? That brings us back to those two messages I received while driving to Las Vegas. “Lance” emailed me first. He’d been talking to me on and off about getting trained at card counting. He was never willing to pull the trigger on bootcamp or other form of solid training. He chose, instead, to play without investing time in his skills. Only after losing $12,000 did he email me to acknowledge that he’d made a mistake and gambled away his money. Unfortunately, there wasn’t a lot I could say to comfort him. If he was serious about beating the game, he needed to master the skills and follow the system perfectly. Furthermore, it would be a good idea to have his skills tested and verified before ever walking into a casino again. 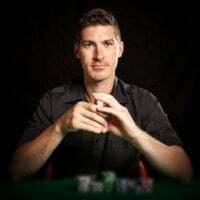 The second message was from a BJA member and Blackjack Bootcamp grad, “jcrox111.” He’d gotten into card counting as a side hustle, with a goal of winning $10,000 in his first year. He trained hard, practicing mostly at home, and spent some time in casinos. Being a real-estate investor, he also realized it was worth investing in his skills before putting too much money into blackjack, so he found himself at one of our bootcamps. 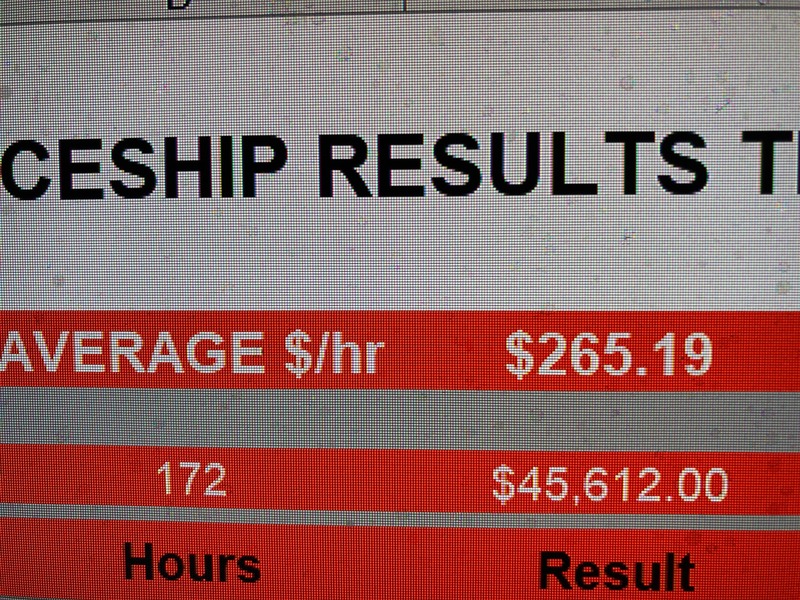 His message to me came months later and he wanted to share his post-bootcamp results: In the five months since attending, he was on track for meeting his hours, but instead of reaching his goal of $10,000, he’d earned $45,612 for an average of $265 an hour. He also sent a few screenshots from his Results Spreadsheet. FYI, this is what a typical card counter’s graph looks like. Ups and downs, but an upward trend over hundreds of hours. jcrox111 clearly put effort into mastering card counting. But he also invested in his skills and training. He didn’t short-change himself and jump into playing in the casinos before getting his skills evaluated. Am I saying you have to attend a Blackjack Bootcamp to make it as a card counter? No. But if you want to be successful, you do need to invest the time, energy, and possibly even some money in your skills and knowledge base to make sure you’re playing like a pro and not just gambling with your bankroll. In my 15 years, I’ve come to believe a card counter needs five characteristics to succeed. I see them over and over in winning players and find them lacking in players who fall short. Do you have these characteristics? If not, what would it look like for you to develop them? When it comes to blackjack, a mentality of “good enough” isn’t good enough. The margin for error is just too slight. Missing a single dealer payout error can wipe out several hours of perfect play. A basic strategy mistake here and a counting error there, all of a sudden you’re playing a losing game. If you don’t have an obsession with the decisions you’re making from one moment to the next, you might not have what it takes to be a pro. Do you tend to get easily distracted? If the pit boss asks, “Sir, what’s your name?” will you drop the count? Or will you be able to shut him out until you’ve made sure you’ve locked the count in your head? If a slot machine starts ringing behind you when someone hits a jackpot, will you turn around to check it out? Or will you ignore it until your round is over to make sure you don’t miss a single card? If you get a blackjack on a $1,000 bet, will you jump up and down, high-fiving the old lady next to you, or will you make sure you subtract 2 from your running count for the ace and face-card before celebrating your win? There’s nothing wrong with having emotions. But you better not let them get in the way of your playing steps. Poker is an interesting game in that there isn’t one perfect style. Some great poker players are aggressive; other great poker players are conservative. Some play tight (few hands) or loose (lots of hands). Since poker is based on outplaying the competition, you’re trying to find a way to extract more value out of the competition than they extract out of you. Blackjack works differently. The beauty of card counting is in its mathematical precision. You’re playing against a dealer who is forced to make the same decisions in all given situations. This means that in blackjack, there is always exactly one correct way to play. And basic strategy tells you exactly what that is. Likewise, there’s always exactly one running count, which gives you an exact true count. Your true count tells you exactly what to bet and exactly when to deviate from basic strategy. If you’re not highly disciplined in how you play, you won’t be a successful card counter. Will you implement your bet spread precisely, even if you’ve lost 10 hands in a row? Will you be tempted to bet a little bit less if you’re up a ton of money, just because you don’t want to lose it all back? Will you hit a 15 against a 9, even though you know you’re likely to bust? Do you keep detailed records of your wins and losses? Do you have a system for keeping track of your money and chips? I often tell people that they must play like a computer: cold, calculated, self-controlled. There’s nothing wrong with having emotions. But if you hand your emotions the steering wheel, it’s only a matter of time before the car goes spinning off the highway. We’ve had players train and test out perfectly, full of excitement to start killing the casinos. Then, after one casino backrooms them or gives them a stern backoff, they lose their nerve and quit the team. I remember the days of being afraid to ask the pit boss for a comped meal. This kind of fear must be overcome. You can’t allow yourself to be easily intimidated. You’ll be contending with dealers who don’t like you, players telling you that you screwed up the whole table, dealer mistakes that you need to go to bat to rectify, and pit bosses tapping you on the shoulder and telling you you’re through. Furthermore, you’ll routinely have huge wins and losses. If all of that is too stressful, that’s fine (and perfectly normal), but you’re better off putting your time into another pursuit. One member actually quit our team to become an air-traffic controller after the stress of playing high-stakes blackjack was too much for him. I’m not joking; he thought it would be less stressful to shuffle airliners all day long! But if you don’t easily get rattled, aren’t looking for a “risk-free” lifestyle, and enjoy being David against Goliath, then you just may have what it takes. This may seem similar to the previous point about conflict, but let me explain. I know several players who didn’t mind conflict and played perfect blackjack, but after a year or so, just didn’t want to spend another minute in a casino. Maybe they were raging introverts and being stuck as lone soldiers in a sea of gamblers wore on them. Maybe they couldn’t bear to see one more geriatric with an oxygen mask spending her Social Security check on slot machines. Whether because of the cigarette smoke and ceiling mirrors or the figurative smoke and mirrors, casinos aren’t for everyone. Although I strongly dislike casinos (you won’t find me there casually), being in the environment doesn’t bother me. I put my head down like a good soldier and just get to work. But if environment has a strong impact on the way you feel moment to moment, consider how much time you really want to spend in the windowless clock-free bowels of a casino. A card counter needs only two tools: a brain and a bankroll. You need the mental ability to play perfectly, but you also need enough capital to make it work. I hear a lot of people say, “To have a realistic chance of making money at blackjack, you need ten thousand dollars.” I disagree. I started with $2,000 and honestly, I don’t think I ever used more than the first $500. I’m sure I got lucky at the beginning, but I was also willing to start very small and patiently grow my investment. On the other hand, while you may not need five figures, you also can’t expect to start with $50. If you’re underfunded, you’ll have to take on high risk, low EV, or both. 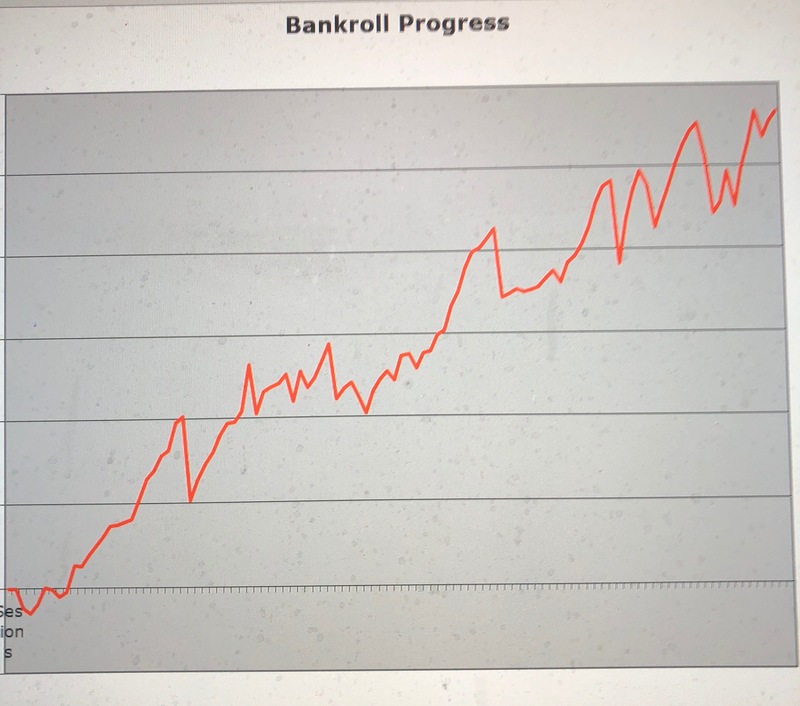 Are you the type of person who can first save up a small bankroll that you can afford to invest at the tables? The more money you have to start with, the better chance you’ll have weathering any potential losing streaks. Like any investor, to truly generate high EV, you need to be properly funded to give yourself a fighting chance.